Before we head into the weekend, SuperPhillip Central has one more review for this final weekday. It's a game for the Nintendo Switch and PC, recently released on the former. In fact, that's the version I've written about with this review of Yono and the Celestial Elephants. Going on an adventure for the elevit. 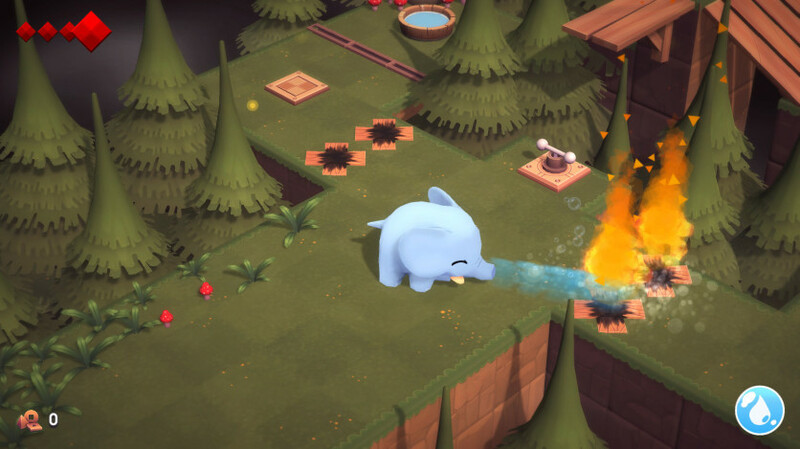 It was on one of Nintendo's indie showcases that revealed look after look of games that I stumbled upon an intriguing and magical game starring a cute and plump elephant as the hero. The elephant marched around isometric areas, beat up on baddies, collected keys, unlocked doors, and interacted with characters in the mythical world. It appeared very Zelda-like, so -- being that Zelda is one of the my favorite gaming franchises of all time -- I immediately became engaged. Heck, I quite enjoyed FDG Entertainment's Oceanhorn released earlier in the Nintendo Switch's lifespan, and it had a similarly isometric world to be play in. 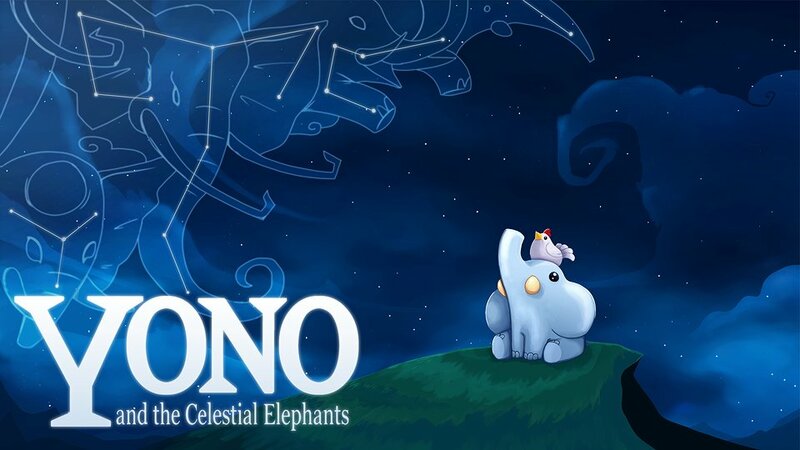 The game is Yono and the Celestial Elephants, available for both Nintendo Switch and Steam, and while it might have been my fault for being so captivated by the picture book esque visual style, charm, and Zelda-like gameplay, I ended up finishing the game with a bit of disappointment. As any adorable elephant does, Yono plays well with others. First off, the word "Zelda" already appears plenty of times in the prior paragraph because Yono and the Celestial Elephants fits the structure and doesn't try to hide it either. Exploring worlds, entering dungeons, collect four health "tokens" to upgrade Yono's health, taking on bosses, and solving puzzles are all familiar elements that this game borrows from the Zelda series. However, speaking on the latter part, unlike Zelda, the puzzles sprinkled throughout Yono are rather easy and won't need much wracking of your brain to come to the proper solution. Most of it is pure block pushing and anything else is also pretty much basic. There were few moments in Yono's short adventure that made me take pause and really have to figure things out. Underneath the town of Freehaven rests this mechanical maze, dungeon #2 of Yono's adventure. 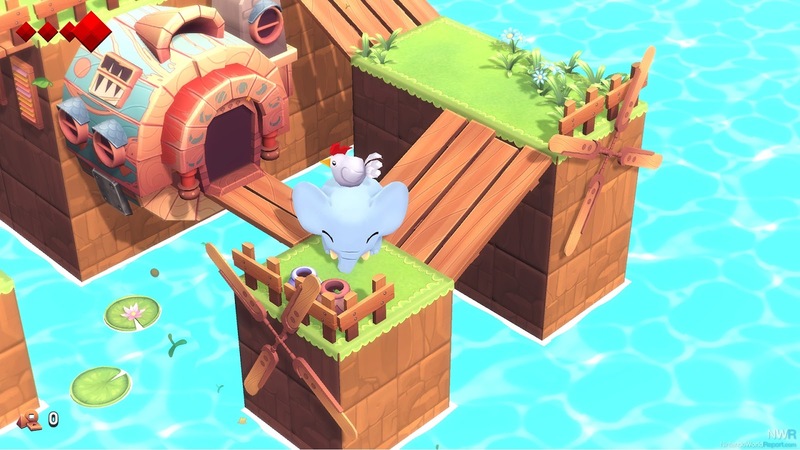 Yono and the Celestial Elephants is essentially a Zelda game for younger children when puzzle difficulty and complexity is regarded, and there is definitely nothing wrong with that. However, then you get to the combat, which is just lacking depth at best and just awful at worst. There is no effort necessary in combat -- no strategy. You simply use Yono's headbutt ability to charge into enemies again and again, with a cavalier attitude because even if you take damage, hearts are in seemingly unlimited supply from defeated foes and appearing from broken jars. It makes the small number of combat scenarios in Yono and the Celestial Elephant feel like they shouldn't even be in the game. After all, my greatest threat to losing health had more to do with difficulty judging distance from the isometric camera view and accidentally falling "off the map" rather than with dealing with enemies. Listen to your pals Smokey and Yono: Only YOU can prevent forest fires. What makes the simplicity in gameplay so strange (seemingly shooting for accessibility for children) is how tonally different it is compared to the actual story and dialog featured in Yono and the Celestial Elephants. Players are greeted with a charming and delightful world that feels like it's plucked directly out of a child's fairy tale or picture book only to have NPCs spout dialog about complex election systems, deep concepts of psychology, and every child's favorite subject, death. Early on I was amazed to see a one-off conversation with an executioner, but by the end of the game, I kept asking myself, "Who the heck is this game even for?" It's too easy of a game to hook older players to play more than once, while the game's occasional dialog is also presumably too over the heads of a younger audience. 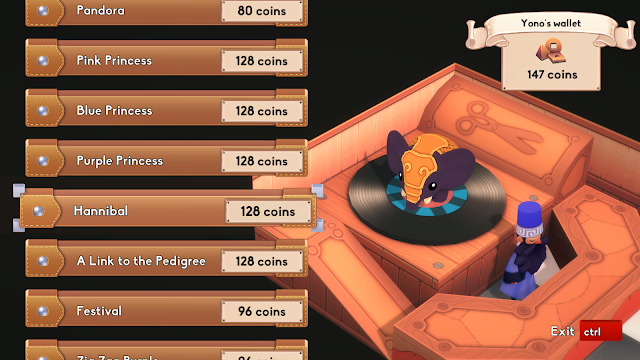 Regardless of that massively minor gripe, Yono and the Celestial Elephants isn't an overly lengthy game either. I expected it, though, when I entered a railway system that connects every major area in the game (obviously with those that Yono and I hadn't reached yet being locked off). The railway chamber only had six or so areas to visit, and I already had the first one unlocked. Regardless, that sort of lowered my expectations on the size of the rest of my and Yono's quest, making me realize this would be a breezy adventure. Thankfully, there some additional avenues to lengthen the Yono's quest. Mentioned before is the ability to collect Heart Tokens, many of which are in plain sight, but others require a bit more reeling and dealing across the game's towns through various trading sequences. Coins earned can be used to purchase new skins for Yono. I particularly loved having Yono rock a "Link to the Pedigree" skin that gave my elephant friend a familiar green hat, tunic, and belt. Finally, you can use letters collected from defeated enemies and the like to restore the game's monastery's library, revealing an awesome and admirable amount of backstory of the world before Yono arrived. It's incredibly unneeded, but that kind of world-building is impressive to see all the same. I'd love all of these skins, but all those coins..!!! Visually, Yono and the Celestial Elephants is remarkable, and that's probably the game's highest point of greatness besides its well crafted world that also assists in building a level of appreciable charm. The music is similarly delightful, offering some serene and catchy tunes. I especially loved the theme played while inside houses within the game's numerous towns. Nevertheless, where Yono and the Celestial Elephants really trips up over its trunk with regards to presentation is in its sound effects. Most become rather grating over time, and many sound incredibly tinny, using poor recordings from what it sounds like. The screams of attacked enemies especially become torture to the ears. 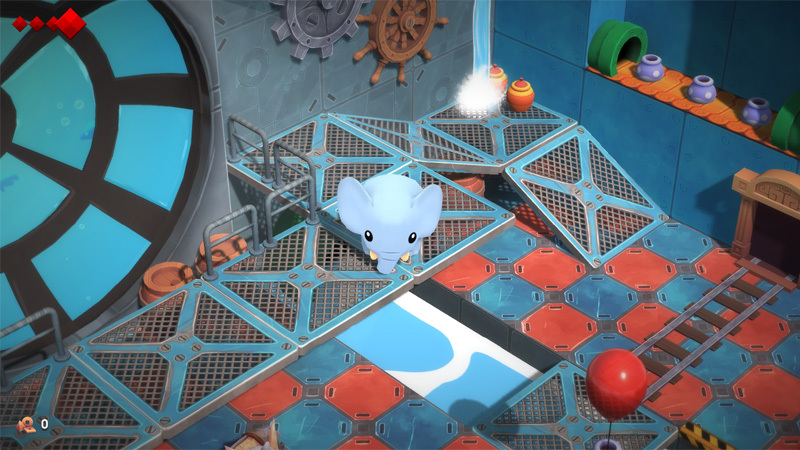 While it's true that elephants never forget, beyond its lovely charm, picture book visuals, and occasionally "WTF" moments in dialog, I probably will forget more than I would have liked about my otherwise enjoyable play sessions with Yono and the Celestial Elephants. In a crowded Switch eShop market where just being "good" isn't good enough anymore to grab owners' attention, I can only recommend Yono and the Celestial Elephants to those up for a simplistic take on the Zelda formula that also features some incredibly deep insights on the human world. Everyone else should at least wait for a sale, because while Yono isn't the greatest adventure, it's certainly worth checking out eventually. Review code provided by the developer. The "Most Overlooked" series of articles on SuperPhillip Central is one of the longest running in the site's nine-year history. The series continues with our fifth look together at some more of the most overlooked PlayStation 4, Xbox One, and Nintendo Switch games, the latter being the most recent console added to the current generation landscape. After you've looked at these five gaming picks, which do you agree and disagree with? Perhaps "overlooked" isn't as much of the correct term to use here. Instead, Marvel vs. Capcom: Infinite may have just been intentionally ignored due to a combination of grievous errors on Capcom and Marvel's sides. I'm talking about every thing from the omission of the X-Men in the roster, the actual starting roster itself, and the disturbing downloadable content system Infinite uses to the low-budget look of the game and poor marketing leading up to Infinite's release. 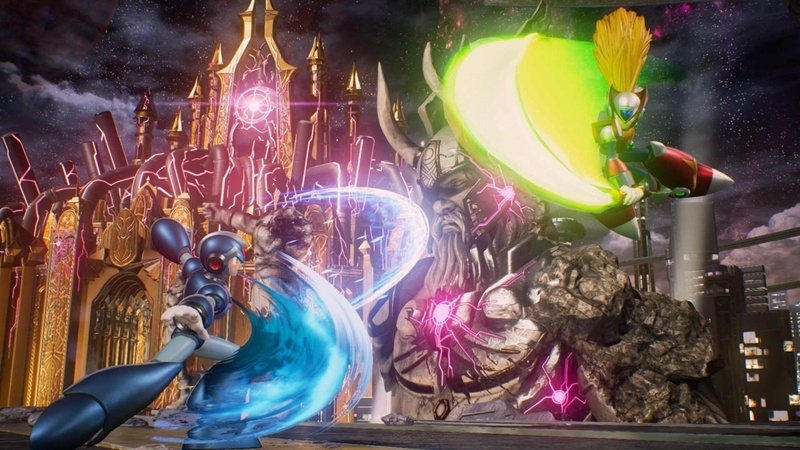 However, underneath all the bull comes a really worthwhile fighting game that takes some learning to play competently, but the reward for doing so is being able to perform astonishing combos on your enemies that will make onlookers gasp with surprise. 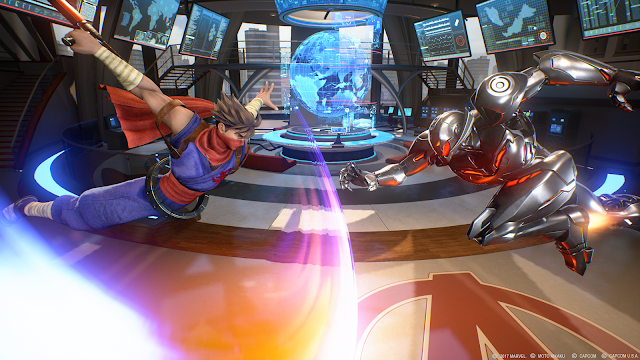 Marvel vs. Capcom: Infinite isn't as empty of a release at launch as Street Fighter V was, but it's understandable still why so many in the gaming community (at least so far in Japan and Europe) avoided the latest edition of this famed crossover fighter all the same. Let's head specifically to the Microsoft corner of the gaming market with a game spearheaded by some well known minds within the industry, such as Armature Studio, devised up of many former Metroid Prime devs, as well as Keiji Inafune, whose reputation has recently been damaged, but before all that, he worked on the Mega Man franchise with Capcom. 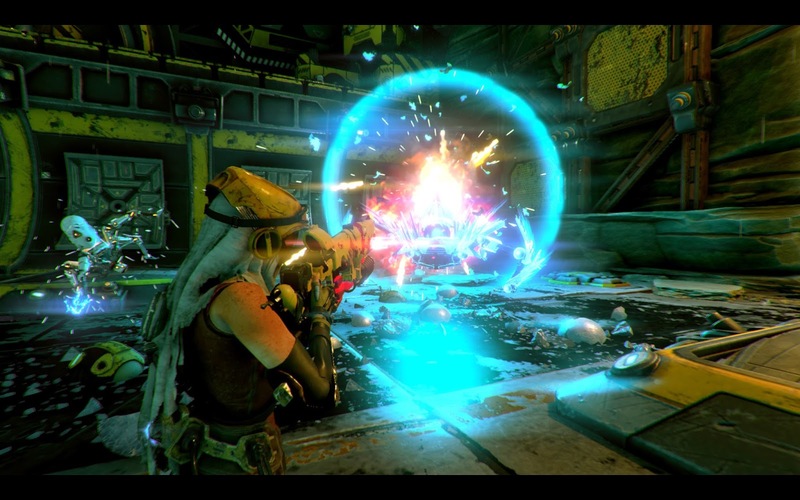 ReCore is an intriguing undertaking, and an original game that the Xbox One needs more of to strengthen its appeal. Exploring the open world surroundings of ReCore's realm, players take on the role of Joule as she wanders the world, battling enemies with heavy weaponry, entering mines and dungeons to solve puzzles and find materials, and discover what happened to the once great colony of Far Eden, her former home and what is now dangerous desert. 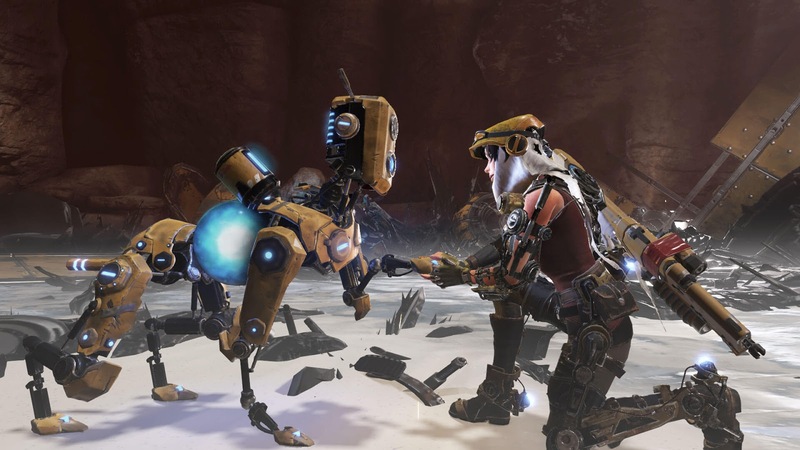 ReCore: Definitive Edition recently released at the end of August, offering new areas and story elements. It's my hope that somehow this update on the game gets a new market for the game, as if not, it might teach Microsoft the long lesson about creating new franchises for its Xbox brand. Take to the links with Everybody's Golf, formerly known as Hot Shots Golf in North America. After several samey titles in the franchise, Everybody's Golf puts players from linear progression through tournaments and challenges to open courses to explore, play on, and enjoy. The better you perform on the courses, the quicker you can take on special AI challengers to improve your rank and reach new courses to traverse upon. Golf isn't just the only activity in town this time around, as fishing, golf cart driving, and collecting new outfit combinations for your custom golfer are here for you to partake in. 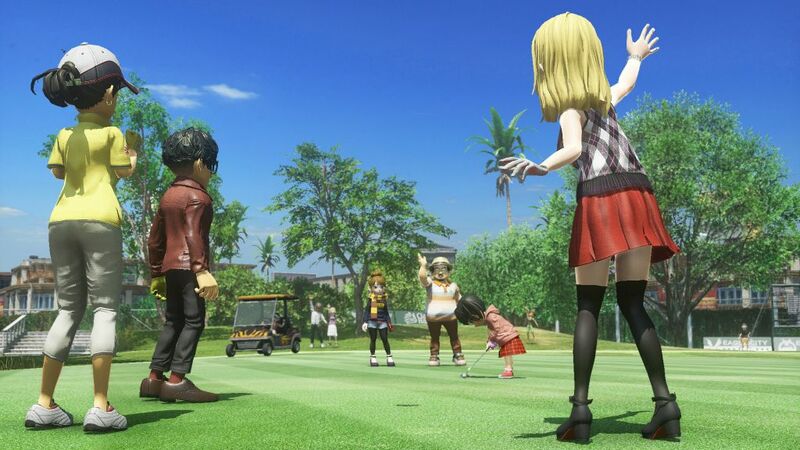 Everybody's Golf took Japan by storm on its launch week, but in other regions of the world, the game failed to take off from the tee. Gamers loving arcade golf are already a niche themselves, making Everybody's Golf in Western territories a niche game, being overlooked by countless potential customers. Still, like Knack II, it only takes $40 to invest in one of the more creative and family friendly games on the PlayStation 4 this year. While Tetris is indeed world-renowned, the Japanese puzzler Puyo Puyo is decidedly not. 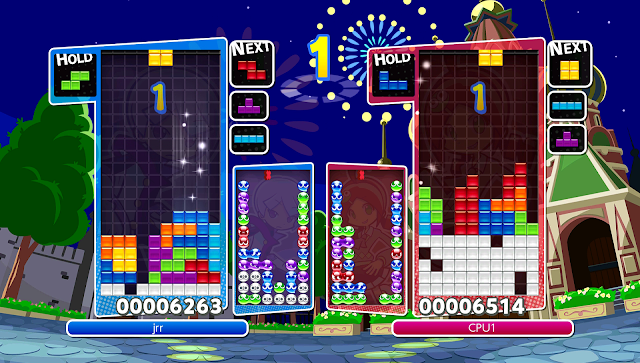 Having players drop color coded Puyo blobs (each in a pair of two) to try to match four or more of the same color at once while aiming for successive combos, it's a puzzle game similar to Tetris. After all, you're clearing the board before the blobs reach the top, ending your game. Thus, it makes sense for Sega to team up with The Tetris Company to create Puyo Puyo Tetris, colorful and charming take on two popular puzzle games (one obviously more popular than the other). 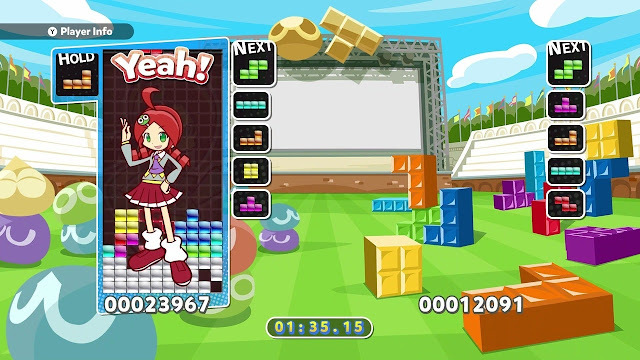 With a full story mode that teaches the basic of each games' rules and modes, multiplayer opportunities both local and online, and so much content outside of the story, Puyo Puyo Tetris sold admirably on the Nintendo Switch (but nothing astronomical), while the PlayStation 4 version didn't have as much success, due to so many other gaming offerings being released on the platform. Still, if you have an iota of love for Tetris, Puyo Puyo, or puzzle games, then Puyo Puyo Tetris should be on your wanted list sometime soon. My two favorite video game franchises both have major releases in 2017. The Legend of Zelda already rocked the Nintendo Switch and Wii U with a possible Game of the Year contender in Breath of the Wild, and now Super Mario Odyssey releases in just over two weeks, exclusively on Switch. With the anticipation in tow, Nintendo published this dashing trailer for the game. Watch and tap your toes with these jazzy stylings! We're going on various adventures on this edition of SuperPhillip Central's Favorite VGMs! The main adventure, however, is our continuous journey through the world of video game music every Monday, as we've been doing so weekly for countless years now. 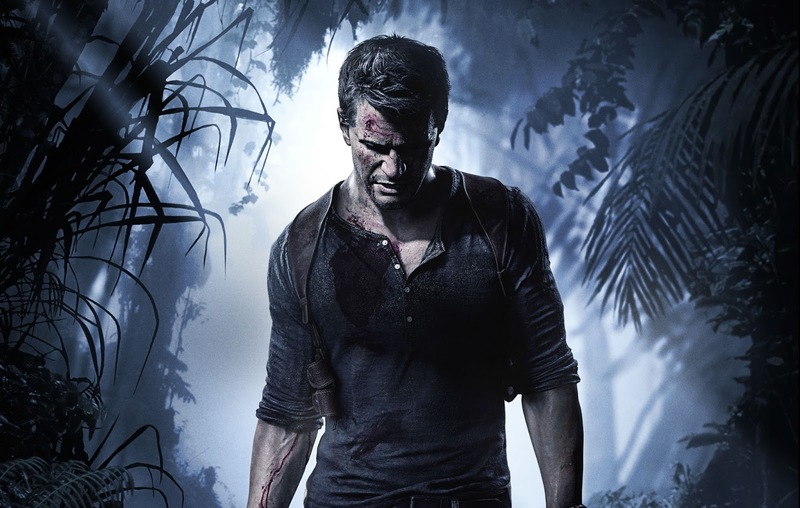 Kicking things off is our journey with Nathan Drake in Uncharted 4: A Thief's End. Then, we take to the skies with Kat in Gravity Rush 2. 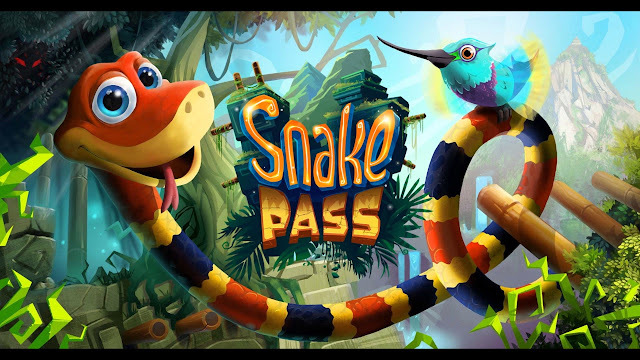 From there, we slither and slide our way through some seriously challenging puzzles with Snake Pass. 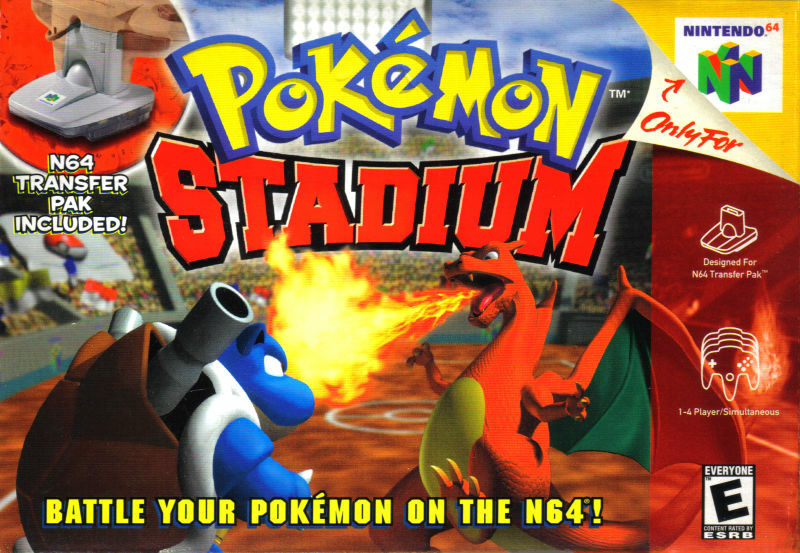 Finally, we our VGM trek takes us into retro territory, taking on both Pokemon Stadium and then Rocket Knight Adventures. Click on each VGM link to hear a given song courtesy of YouTube, and check out the VGM Database for all your VGM needs. Now, let's get on to the music! After one final globe-trotting adventure has wrapped up, this last chapter in the tales of treasure hunter Nathan Drake closes. Additionally, as the adventure ends, this epilogue theme plays, composed by Henry Jackman, the mind behind the soundtracks of hit films like Wreck-It-Ralph, Captain America: The Winter Soldier, and most recently, Kong: Skull Island. While Nate Drake's adventures are over, a new class of treasure hunters continue forth with adventures under the Uncharted series name. Heroine Kat performs this song on stage in the story of Gravity Rush 2, but this particular version plays during the credits after the adventure is long over. It's a playful and sweet song that features stupendous instrumentation, calming vocals, and a theme that definitely charms the listener. 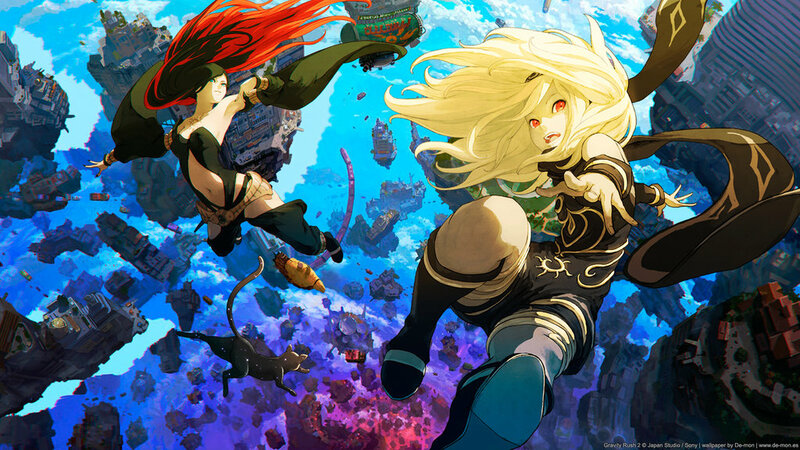 Gravity Rush as a series deserved far more acclaim from audiences, but unfortunately, sales denied the franchise of getting such. The instrumentation, the atmospheric sound, the clear melody... This has the trademark sound of one of my favorite Western video game composers, Mr. David Wise. His previous works include several games for Rare, the most well known being Donkey Kong Country 1, 2, and the Game Boy Advance version of 3. He also recently composed the music for the Wii U entry, Tropical Freeze. Meanwhile, Snake Pass' Sog-Gee's Realm is a soothing and relaxing tune to slither and slide around this wet water world in the game. The Pika Cup is Pokemon Stadium has you battling fellow cute Pokemon in fierce fights for supremacy. Unleash dazzling moves on the competition to forward yourself in the rankings to make it to the finals and enter the Hall of Fame! Featuring a rock and roll style tune to it when in battle, the Pika Cup is one serious challenge with one awesome song to accompany you in your battles. 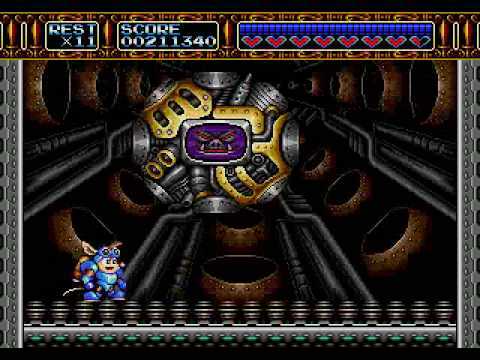 We get the all-too-familiar Genesis sound with this last VGM on this edition of SuperPhillip Central's Favorite VGMs, the boss theme from Rocket Knight Adventures. While the Genesis received Rocket Knight Adventures, the Super Nintendo would receive an alternate adventure, Sparkster. In more recent years, the Rocket Knight franchise returned in digital form with a brand-new game on PlayStation 3 and Xbox 360 with the entry simply titled Rocket Knight. Despite what I feel is an overindulgence of the Fire Emblem IP as of late, I'm still excited for this upcoming Musou take on the series with Fire Emblem Warriors -- even if I don't recognize many of the characters due to having only fully played Awakening back on the 3DS. Regardless, Fire Emblem Warriors will get me up to speed in a flash when its intense army-destroying gameplay arrives October 20th to Nintendo Switch and New Nintendo 3DS XL. SteamWorld Dig 2 launched a couple of weeks ago on the Nintendo Switch, and then on multiple other platforms. SuperPhillip Central's review for the game covers the Switch version, but all iterations seem to play just as well. Here's my review. Despite struggling to find a foothold or get a bearing on the market with its early efforts with WiiWare, Nintendo has built a relationship with the indie market that has grown immensely, resulting in numerous success stories ever since. One of the earliest of these stories came from a small developer known as Image & Form in 2013 when they released a little title known as SteamWorld Dig on the Nintendo 3DS. Countless games sold with multiple ports soon thereafter, and Image & Form became a known entity among gamers both on and off Nintendo platforms. 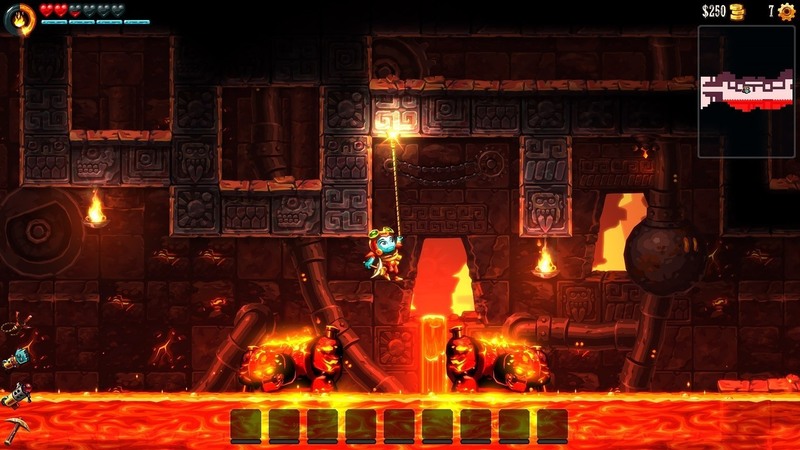 Now, it's four years later and a new chapter in the SteamWorld Dig franchise is here with SteamWorld Dig 2. 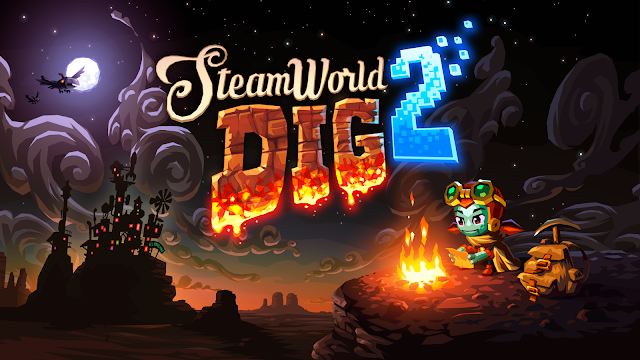 Having launched first on the Switch, on a Nintendo platform just like where the first Dig successfully got its start, SteamWorld Dig 2 is ready for players to dig in to and discover the treasures inside. 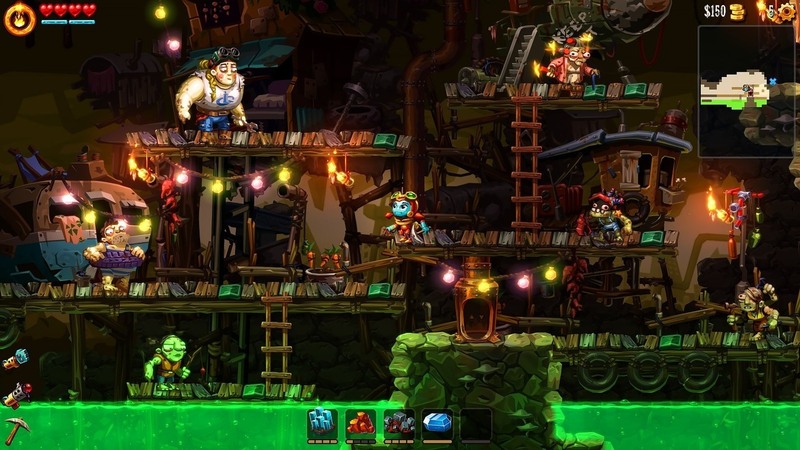 If you played the original SteamWorld Dig (which by no means is a requirement to fully enjoy the sequel), you'll be quite accustomed to the exploration found in SteamWorld Dig 2. This consists of digging through blocks of dirt and rock with your trusty pickaxe, creating pathways to safely navigate your way through the darkened cavernous catacombs. This time around, however, the caverns are not randomized regarding block and treasure placement. And yep, you read that right. There be treasure in them there caves. With the randomization of the world design removed, this has allowed the designers to craft a much more well paced adventure, as well as show off their impressive level design skills in the process. The deeper you go in this main tunnel, the better the treasures, but the more vicious the dangers! While digging deep, the treasures you acquire need to be brought up to the main hub of the game, a machinery town at the surface. As you're limited in how much treasure you can carry throughout the game, constant trips to the top are necessary, but it's never anything where you collect a small amount and immediately find yourself needing to head up to the surface once again. With the treasure you collect, it gets turned into currency which can be used to purchase upgrades for your arsenal of ever-increasing tools, each discovered in a typical Metroid kind of way. These arsenal upgrades include everything from an extended light source from your torch, the ability to carry enough slot of treasure, and more power for your pickaxe, to name a few. New tools and abilities for Dot are found in pods like these that are hidden underground. 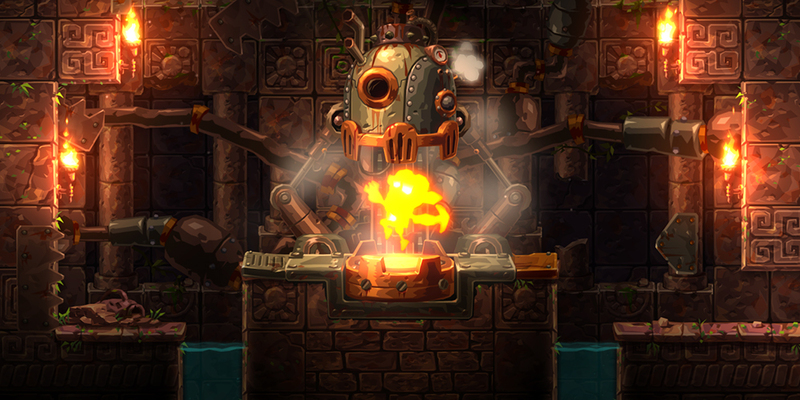 Thus, there's a gameplay loop that is immensely satisfying on display here in SteamWorld Dig 2 where you're entering below the surface to mine, find treasure, return to the surface to sell said treasure, and use the money from your sold goods to purchase new upgrades. There is a "let's go for one more dig underground before I quit" type of feeling that ensures a compelling nature to the loop, showing off how well it was conceived by the designers. 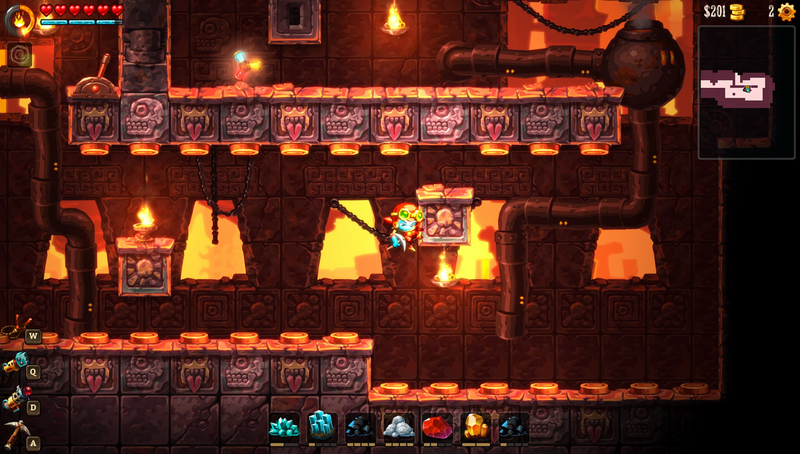 Of course, there is more to SteamWorld Dig 2 than merely digging for, scoping for, discovering, and selling treasure. There is an entire adventure to be found, and in Dig 2 it involves Dot, a character who was in the background in the original game. This time around, she's in the starring role alongside a helpful companion named Fen. The story's too intriguing to spoil the good stuff, but the main premise has Dot searching for the hero of the first Dig, Rusty, who has mysterious gone AWOL. Dot's search leads her something that becomes even more of a concern. The combination of humor and seriousness is performed well by the writing theme, whether it's in the goofy NPCs or throughout the story itself. The point being is that it's all enjoyable to read. unparalleled mobility, whether upwards, downwards, or to the sides. Outside of finding treasure to sell and following along with the story through the game's several unique areas (that aren't all pure digging), there is a variety of things to discover in the world of Dig 2. As traditional for any Metroid-style game, there is the goal of shooting for a perfect 100% completion rating. This revolves around collecting over 40 artifacts and all of the cogs hidden throughout the world. 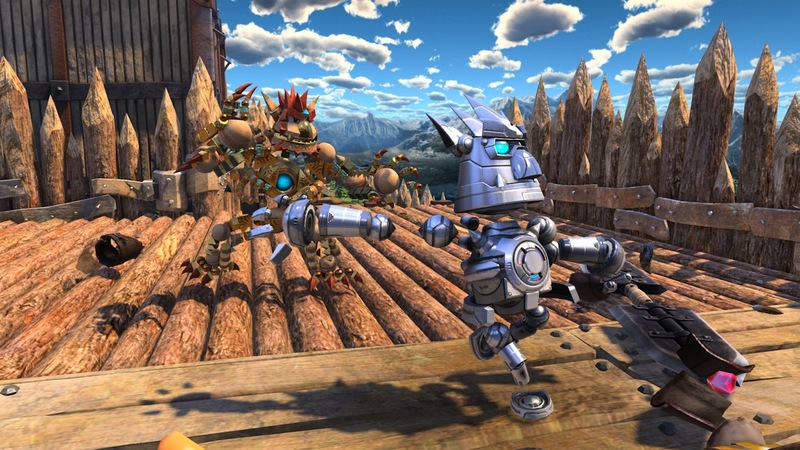 Handing over a specific amount of artifacts in the hub village of Dig 2 results in gaining blueprints that add new capabilities to Dot's gear that the aforementioned cogs can be used on. A town all the way down here? At least they have working lights! These artifacts and cogs can be found all over the place, but areas in particular where they are discovered are in caves that serve as Dig 2's challenge rooms, requiring the player to solve them using one particular skill or tool from Dot's arsenal. These rooms are essentially ways for Dot (and by extension, the player) to show their mastery of a given gameplay element in Dig 2. While one cave forces Dot to dig and move quickly at once (or find themselves crushed underneath large rocks), another requires a clever mind, such as positioning a trio of mine carts in way that serves as platforms to reach a cracked part of wall. After all, Dot can't use her pickaxe in midair to break cracked blocks. These challenge rooms feature the grandest difficult tasks in Dig 2, outside of the trials that unlock after all of the main artifacts in the game have been collected. These trials are for true masters of SteamWorld Dig 2 only. One such challenge room requires reaching the end without touching any buttons. 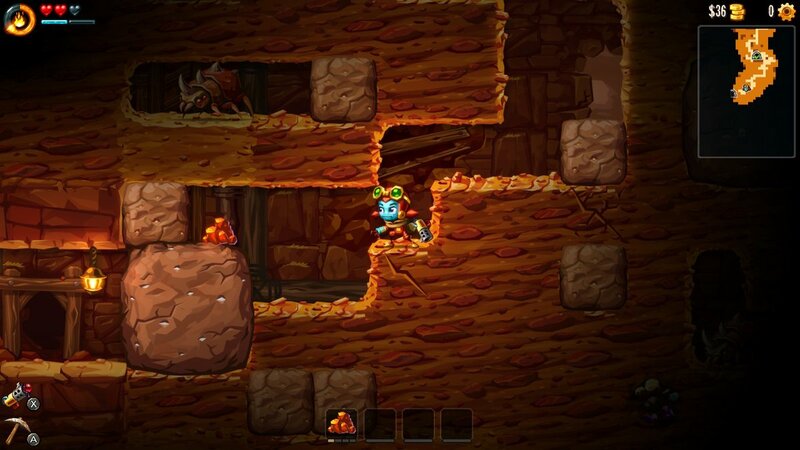 SteamWorld Dig 2 is an adventure that will last most gamers over 10 hours in their first run. If one finds the game too easy, there are certain blueprints that can be found and turned on to activate harder experiences with the game, such as explosive enemies, more damage taken, and so forth. Exploring the lands of Dig 2 for leftover treasure such as artifacts and cogs in faraway areas isn't so much an issue due to the helpful fast travel tube system in the game. Those looking for one of the best indie games released not just on the Nintendo eShop this year but from any indie developer on any platform this year, look no further than Image & Form's SteamWorld Dig 2. It's much improved from the original game, offering a larger world, a more precise design focus to ensure a grander sense of pacing, and possesses a greater "I need to keep playing" mindset within its players. If you like Metroid-style games with a healthy dose of treasure-hunting and platforming fun, then yeah, you can probably dig SteamWorld Dig 2 like I very much did. Review code provided by Image & Form.